Kottayam: Fearing horse trading in Karnataka, Kerala has offered safe abodes for MLAs in tourism locations. 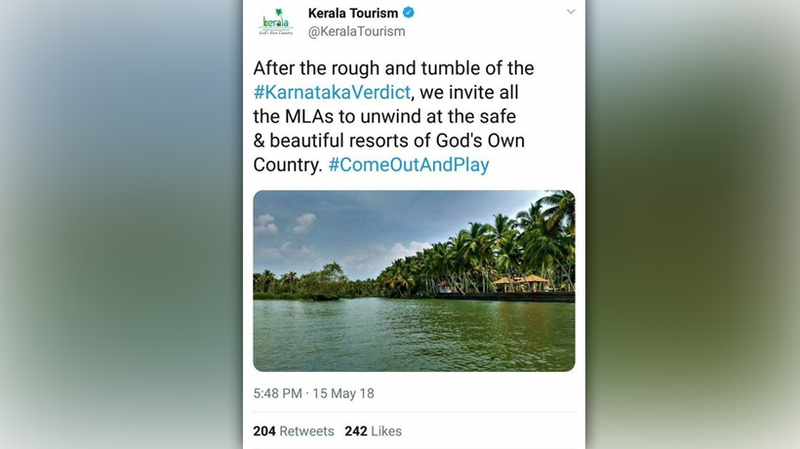 Kerala Tourism department has tweeted messages in this regard from its official page. With no party getting a majority, the LDF ruled state has come up with the invitation to thwart any move to buy MLAs, media reports said.